‘The Sunset Experience’ // I painted and added my touches to 14 locations along the Sunset Strip - in collaboration with Gehl - the project aims to make Sunset Blvd. a safer place to walk, welcoming pedestrian interaction and engagement. 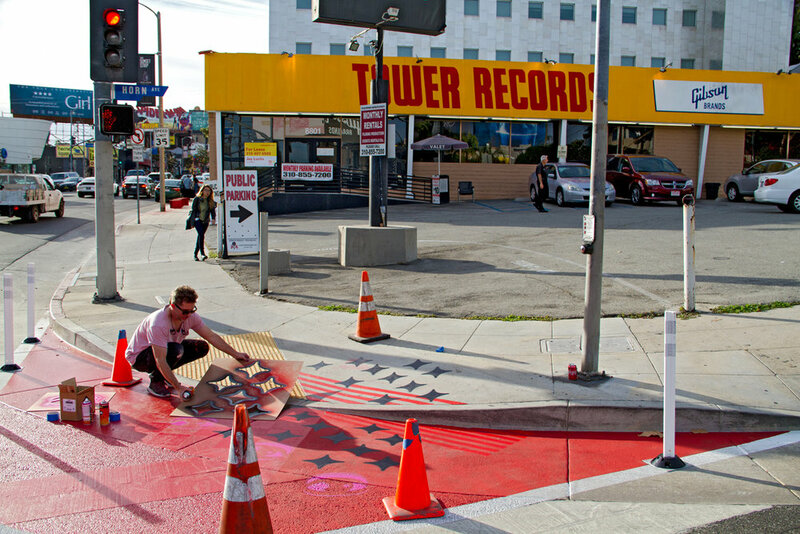 The project was commissioned by the City of West Hollywood.